Christmas calls for celebration! 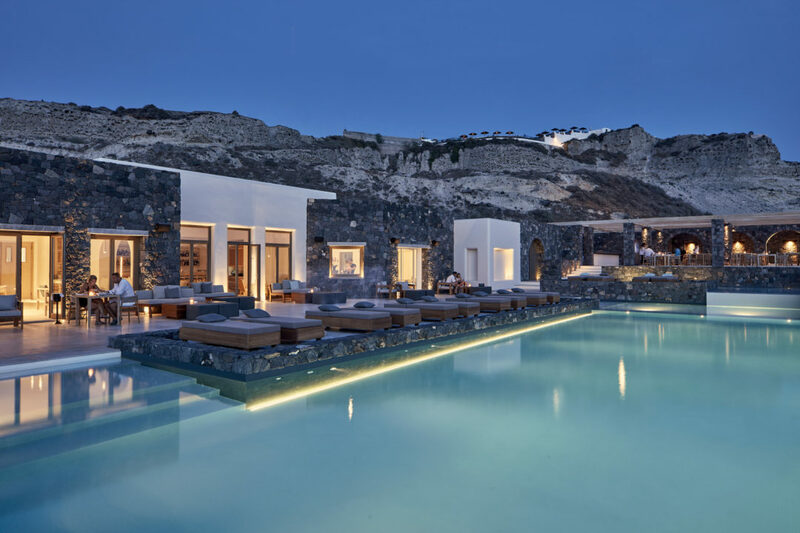 And if you want a unique experience this festive season, Greece should top your must-visit list. While not a typical Christmas destination, Greece has so much to offer that it’s sure to become one of the most unforgettable holidays of your life! Christmas in Greece is both religious and festive. Most towns take on a cheerful atmosphere with colourful lights and decorations. 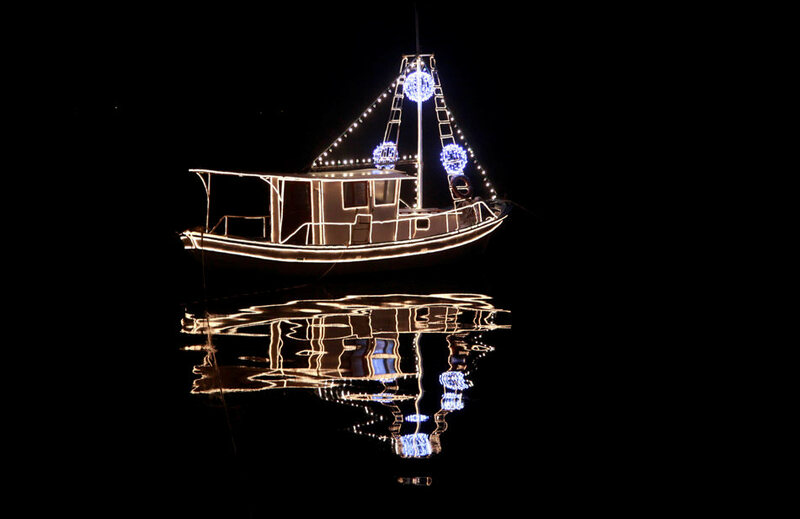 Rather than traditional Christmas trees, however, you will often see boats decorated with sparkling lights, as Saint Nicholas is the patron saint of Christmas and a protector of sailors. Greece’s Christmas season begins on 6 December (St. Nicholas Day) and ends on 6 January, the Feast of the Epiphany (Theophania). As Christmas Day approaches, the yuletide celebrations take centre stage. And on Christmas Eve, Saint Vasilis—Greece’s version of Santa Claus—visits homes to deliver small gifts to children. Christmas in Greece offers the opportunity to attend many seasonal events and festivities. Many cities such as Athens, Thessaloniki, Patra and Heraklion host musical concerts, theatrical performances and cultural events. In Syntagma Square, Athens’ Christmas Village, Europe’s largest Christmas tree is lit and little elf houses sell candy. Children can also participate in a number of fun activities. Most holidays in Greece are celebrated traditionally, and Christmas is no exception. On the mornings of Christmas Eve, New Year’s Eve and the Eve of the Epiphany, children go from house to house singing Christmas carols, and residents of the houses give them a small amount of money. Throughout the 12 days of Christmas, many people hang a pomegranate above their doors. Right before midnight strikes on New Year’s Eve, when the fruit will have dried, all family members leave the house, shut off the lights, smash the pomegranate on the ground and step into their house on their right foot to bring good luck for the new year. For those who love Christmas shopping, Greece never fails to disappoint. Traditionally, gifts are exchanged on New Year’s Eve, so Christmas shopping in Greece continues well past the 25th of December. Streets fill up with people buying gifts for their loved ones while carolers sing Christmas songs, making for a wonderful experience. Like many other holidays in Greece, Christmas is a time for feasting. Traditionally, the main course of Christmas dinner is roast lamb or pork, but turkey has also become popular. Either way, Christmas food in Greece will satisfy your appetite. For sweet treats, vasilopita is Greece’s traditional New Year’s Day bread, which contains a hidden coin that gives good luck to the receiver. The two main types of Christmas cookies in Greece are melomakarona and kourabiedes. Melomakarona is an egg-shaped dessert made mainly from flour, olive oil and honey. Kourabiedes is a shortbread-type biscuit made from rosewater and fresh butter, then sprinkled with powdered sugar. The cookies are normally served on New Year’s Day but many give into temptation and eat them early. 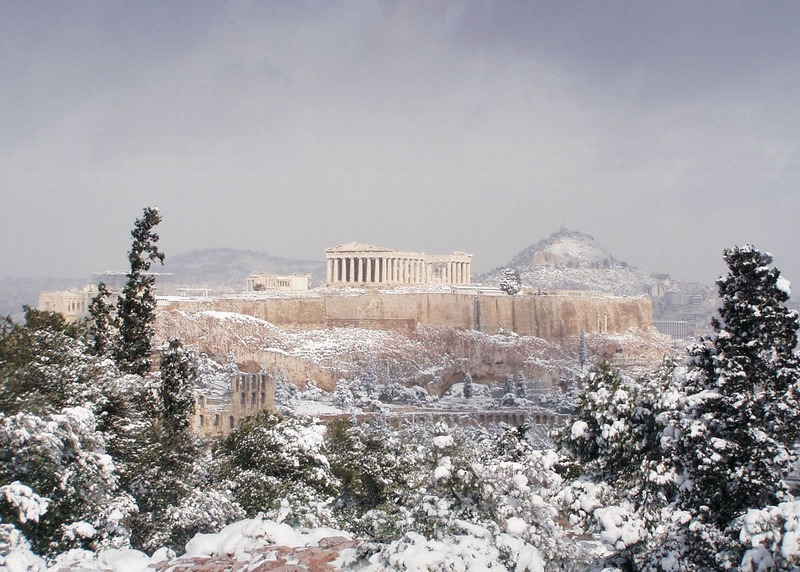 At Christmas time in Greece, you will see snow-capped mountains and lush evergreens covering the countryside. Most villages in mainland Greece have stone-brick houses and narrow alleys, which resemble Santa’s village. Many winter resorts also in offer skiing or other winter sports so you can have the perfect white Christmas. In the end, Christmas in Greece is all about sharing the joy of the season with family and friends. And what better way to celebrate than with many traditions, plenty of festivities, lots of food and an abundance of holiday spirit?